Our report builder allows you to create as many report templates as you want. 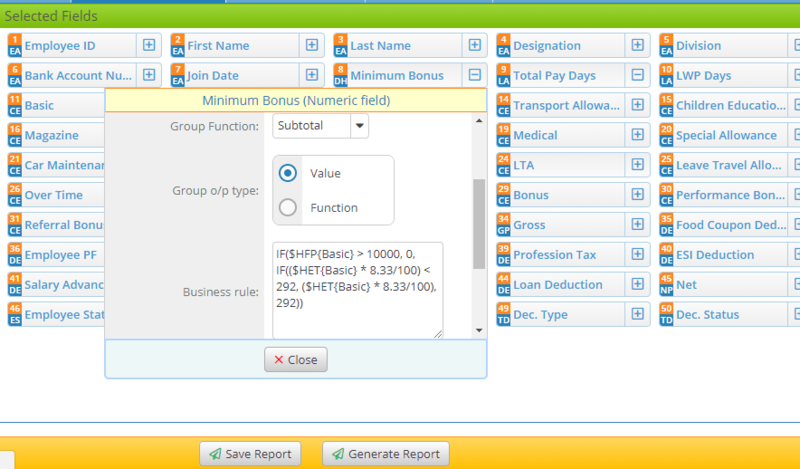 You can use a variety of payroll and employee attributes to generate reports. 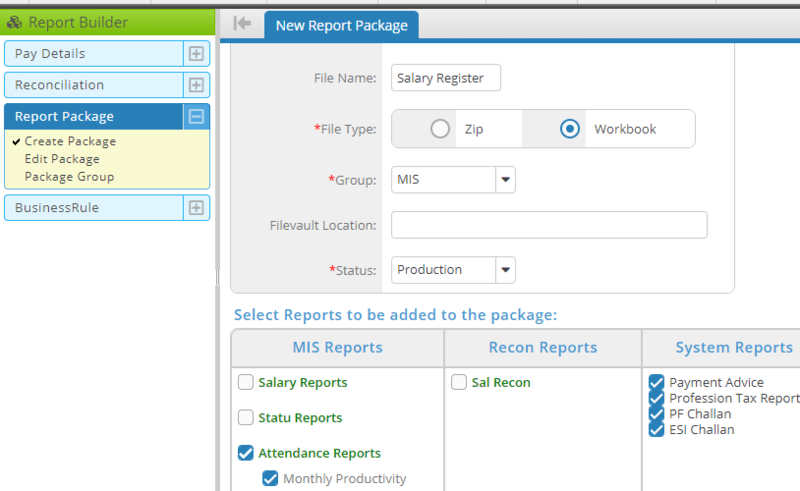 The drag and drop facility in the report builder makes report template creation easy. The existing business rules in report templates can be re-used whenever a new report format is created. Our reporting platform enables creation of powerful reconciliation reports — for comparing pay data and employee attributes across time — in order to ensure error-free payroll. Also, many reports can be packaged together as worksheets of a single spreadsheet file for easy viewing of data. Create complex group-by and time-series reports in HRWorks itself instead of using pivot-table and other features of spreadsheet software such as Excel. We appreciate that your time is better spent in data analysis rather than in report creation. Custom fields allow you to add additional information to your reports. 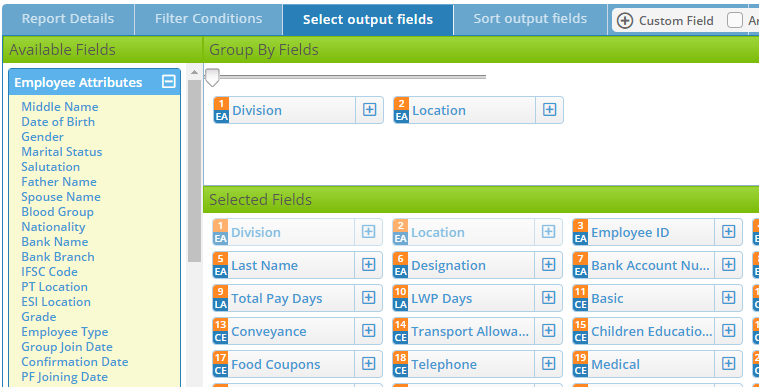 The custom fields could contain text, numbers and formula which derive their value from employee and other attributes. Download Income Tax, PF, ESI, PT and other statutory reports instantly. HRWorks creates files for PF (text file for PF-ECR upload) and ESI challan which can be readily uploaded in PF E-Sewa and ESI sites. You should not have to struggle with “#” and “~” in order to create the text file for completing statutory formalities.